MOSCOW, July 30. /TASS/. A drone launched by militants from Syria’s Idlib de-escalation zone was downed by the Russian military near the Hmeymim airbase, chief of the Russian Center for Reconciliation of the Opposing Parties in Syria Alexei Tsygankov said on Monday. "Militants of illegal armed groups continue to launch unmanned aerial vehicle from the territory of the Idlib de-escalation zone towards the Russian airbase at Hmeymim. Thus, at dusk on July 29, airspace control tools of the Russian airbase at Hmeymim spotted an unmanned aerial vehicle launched from territories controlled by illegal armed groups. The air target was downed at a safe distance from the airspace," he said. "No one was hurt, no material damage was incurred. 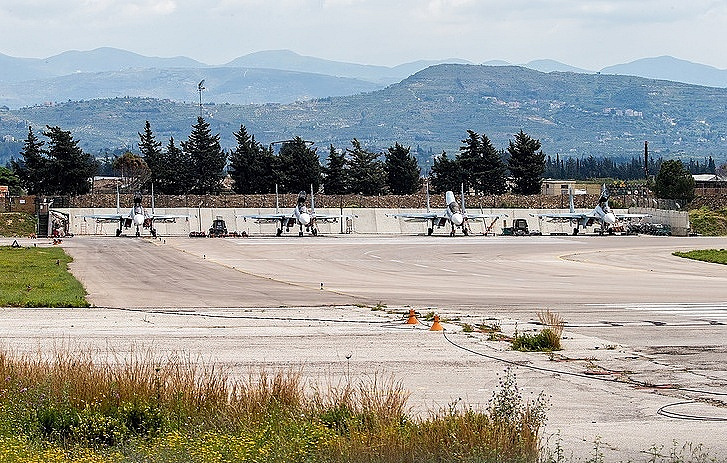 The Russian airbase at Hmeymim operates routinely," he added. Incidents with the use of unmanned aerial vehicles near the Hmeymim airbase have become more frequent in the recent time. Thus, the Russian military reportedly downed militants’ drones on July 21, 22 and 27.